Each student is required to maintain a lab notebook which contains all answers to prelab requirements, all experimental results including data, formulas, calculations, circuit diagrams, circuit analysis, graphs, etc. 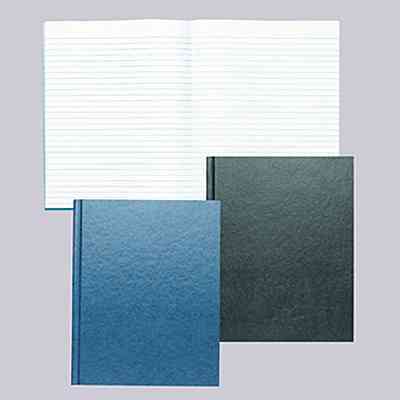 The lab notebook must be a bound book with sewn-in pages; spiral bound and loose leaf notebooks are not acceptable. Books with hard or soft covers are both acceptable. Maintaining an effective lab notebook is a surprisingly difficult skill to master. Scientists and engineers engaged in research and development are required to maintain lab notebooks to prove who did the work, when it was done, and what was done. Companies and research labs usually have quite stringent notebook requirements, e.g. For any course where required, you will maintain notebooks according to the requirements listed below. The lab notebook must be a bound book with sewn-in pages (spiral bound and loose leaf notebooks are not acceptable) and consecutively numbered pages. If the pages are not numbered when you buy the notebook, number them (every page) before using it. Books that include graph paper can simplify drawing circuits, setting up tables to record data, and graphing data but are not required. All entries in the lab notebook must be in pen. Notebook entries must be legible but the book will not necessarily be neat or tidy. At the top of the first page of the lab notebook or on the info page at the front of some lab notebooks, write your name, the course number and course name. In addition, we suggest that you add your email address and your telephone number so that the book can be returned if you misplace it. Reserve the next few pages for a Table of Contents. Every session (prelab, lab, postlab) should have an entry in the Table of Contents that includes the name of the lab, the session type, and the starting page number. Every session should start on a new page. At the top of the first page of a session, write the date, the name of the lab, and the session type. Use all pages consecutively. Leave no blank pages. If you accidentally skip a page, put a single diagonal line through the page. Do not tear pages out. If you make a mistake, draw a single line through it, leaving it legible. Do not use whiteout; do not scratch it out. Sometimes, "mistakes" turn out not to be incorrect. Insert no loose pages. Occasionally, we may recommend that you tape/glue in some reference material. Initial and date across one corner of the paper that you glue in. Sign at the bottom of the last page after you are done for the day (e.g. end of prelab, end of lab session). at the end of the lab session. Alexander Graham Bell's lab notebook; see the entry for March 10, 1876 describing his first successful experiment with the telephone. Your lab notebook should be detailed enough to allow someone else to duplicate your work at a later time. It should contain enough detail so that you could write an effective lab report after the lab. The observations and sketches should be clear, should define all quantities with units of measurement, and if appropriate, should include how measurement equipment was wired up. Record the type of equipment used to make the measurements and the settings used. Apparent inconsistencies in your results may be a function of the equipment used or the range selected. This is also important for determining measurement error. Write all measurements immediately after they are made. As you measure a value consider whether it is consistent with your other data and your expectations. Note any suspicious data for further follow-up. If the experimental procedure asks you to make calculations during the experiment, do them while you are doing the experiment. Do not leave them until later. When doing calculations always include the formula. Some calculations may be a prelab requirement, some may be an experimental requirement and some may be a postlab requirement. Do not underestimate how rapidly you will forget experimental details. You lab notebook will be graded with respect to the instructions provided in this document. Your lab notebook will be randomly spot checked during the lab. You may also be required to submit your lab book intermittently to be marked. Some of the grading methods may be subtle; for example, you may be required to retrieve information from your lab book a month after it was originally entered.